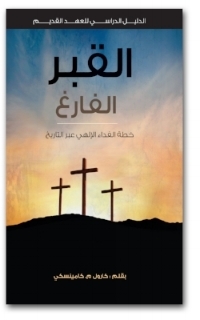 Casket Empty has partnered with Call of Love Ministries to make available the Casket Empty© Bible series in Arabic. Call of Love Ministries reaches out to thousands of Muslims through online videos, Bible resources, and a 24/7 TV station (http://www.calloflove.org/). God is providing a wonderful opportunity for the gospel through their ministry, and it is our privilege to help provide Bible resources for our Arabic-speaking Christian brothers and sisters, especially for those whose only access to Christian resources is through the Internet. Permission has been granted by the authors, Dr. Carol M. Kaminski and Dr. David L. Palmer, along with Casket Empty Media LLC for the Arabic Casket Empty© material to be downloaded and distributed at no charge.